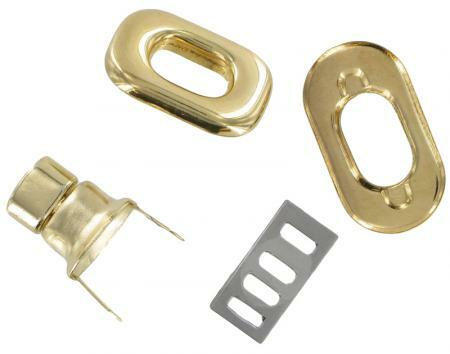 Brass Finish Turn Lock for handbags 20mm x 31mm. This replacement turn lock is used on some flap over handbags. It is brass coloured. Supplied with screw on backplate. Dimensions of female section are 20mm x 31mm. Dimensions of male section are 14mm x 18mm.